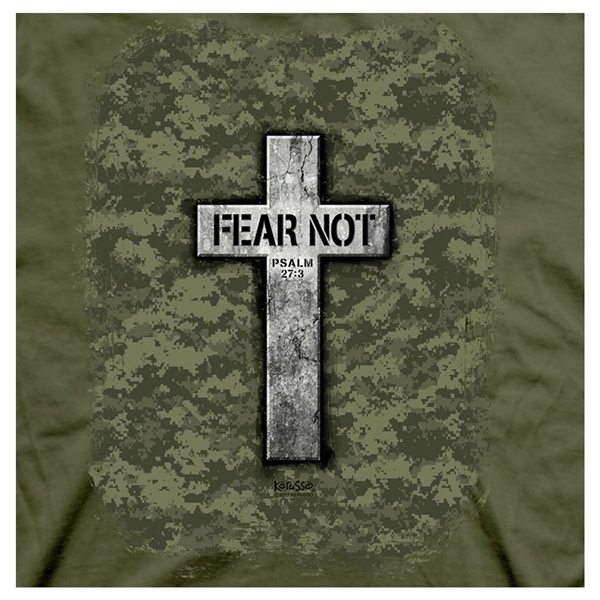 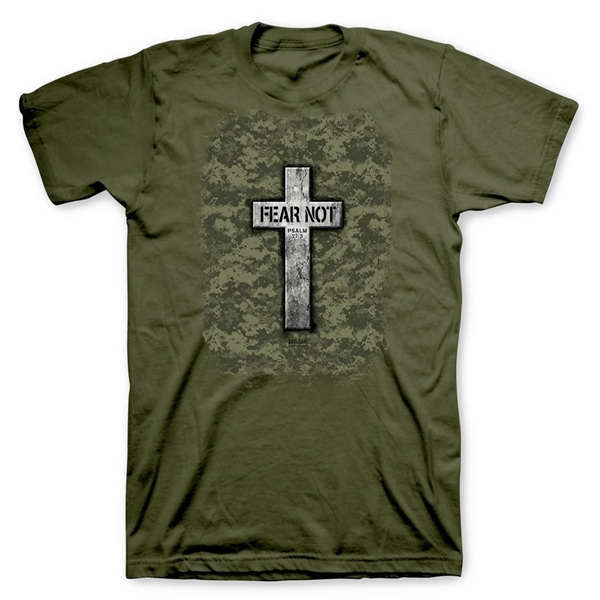 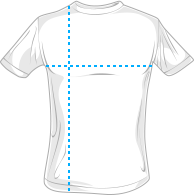 This military green Christian T Shirt features a cross on the front with the phrase "Fear Not." 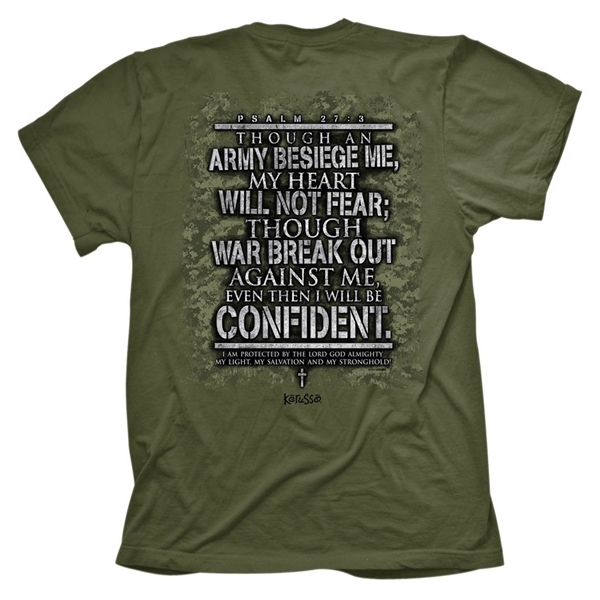 Psalm 27:3 is printed on the back which reads, "Though an army besiege me, my heart will not fear; though war break out against me, even then I will be confident." 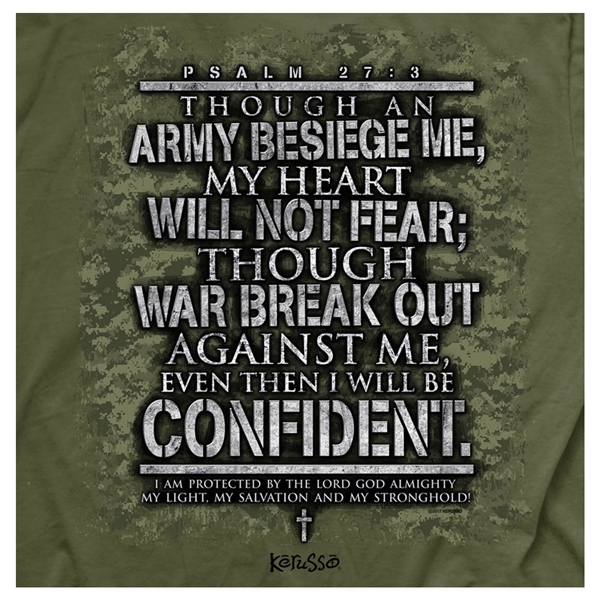 I am protected by the Lord God almighty, my light, my salvation, and my stronghold.